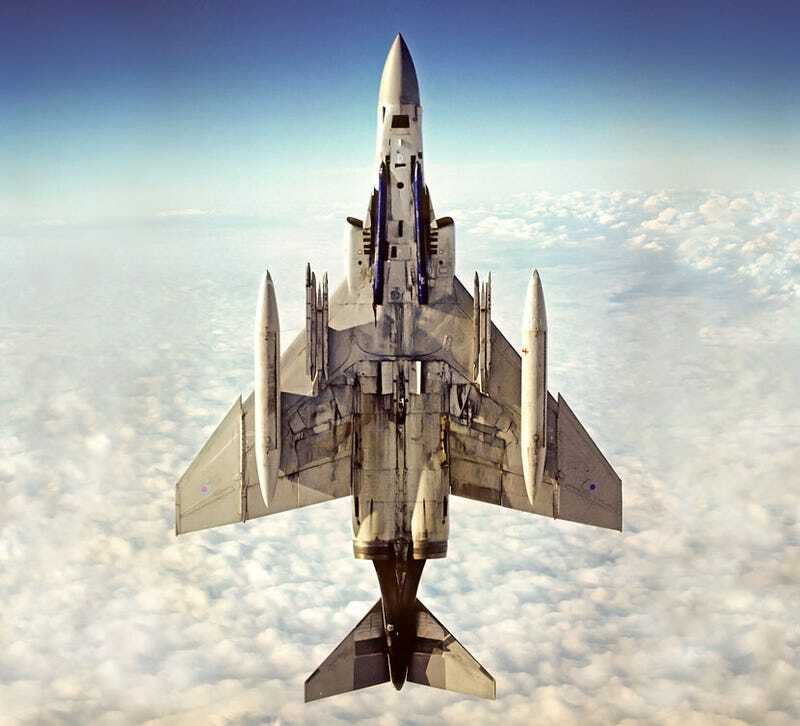 An impressive old photo of a McDonnell Douglas F-4 Phantom II trying to escape planet Earth. The two seat, twin-engine supersonic fighter jet looks more awesome and more Star Wars than the current stealthy, always-grounded F-22s and F-35s. At all that wear and tear is so beautiful.